This story is one with two beginnings that are 60 years apart. The first was in 1953, while the Korean War was ending and Sir Edmund Hillary and Tenzing Norgay had performed the first successful ascent to the summit of Everest, a set of fraternal twins was born on June 10 to Robert and Isabel Vroom in Pembroke, Ontario. Unfortunately, due to complications, Christine died hours after being born and Michael died a few days later. Robert and Isabel already had three children; Richard, Peggy and Judy. The twins were never forgotten, but as years passed their story just became part of the family’s history and wasn’t talked about often. The second beginning was in 2011, when Richard Vroom visited CHEO’s NICU, as an Anglican Minister, to be with a three week old infant who was experiencing life threatening complications. Richard was asked by the parents, from Baffin Island, if he would hold their child as he was being taken off life support. As he held the baby during those last moments of life, Richard’s mind went back to the twins born so many years before. His brother and sister didn’t even live for three weeks and he hoped that someone was holding them when they took their last breaths. After he left CHEO the twins stayed on his mind and he decided to do a little digging and find out more about their story. He discovered when they were baptised and where they were buried, then went to Pembroke and visited their grave. The twins were never forgotten, but as years passed their story just became part of the family’s history and wasn’t talked about often. Later he spoke with his parents, now in their eighties and living in Victoria, B.C., about the twins for the first time in years. Together they decided they wanted to do something to mark the short, young lives that were part of their collective history. Robert and Isabel, with the help of Richard and his sisters decided to explore making a bequest in their Wills to CHEO. After a visit by Richard to CHEO and the Neonatal Intensive Care Unit, Robert and Isabel decided that they wanted to make the gift now rather than as part of their estate. They chose to purchase a vital piece of equipment for the NICU- that had it been available 60 years earlier would have most likely saved the lives of the twins and changed the course of the Vroom family history. 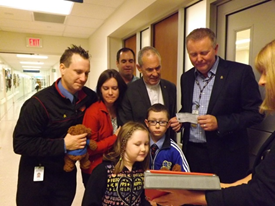 On June 6,2013, four generations of Vrooms: Richard, his wife Neilda; children, Jennifer, Kevin and Gordon; and two grandchildren, Cambrian and Kinsley, gathered to present CHEO with a cheque in the amount of $26,000 to purchase a neonatal transport monitor for use by the transport team. Since Robert and Isabel were in Victoria and unable to visit Ottawa, they skyped with the rest of the family and CHEO Foundation staff for the cheque presentation. It was an important and emotional moment for the Vroom Family. After a tour of the NICU Transport Team Room, Richard shared on the Y101 Radio-thon that was taking place that day at CHEO why it was important to them to make this legacy gift to CHEO now. Just a few days later on June 13, Robert Vroom passed away peacefully at home in Victoria surrounded by his loving family, including Isabel, his wife of 68 years knowing that he had left a mark on the young lives of patients at CHEO and forever honored the lives of their twins. 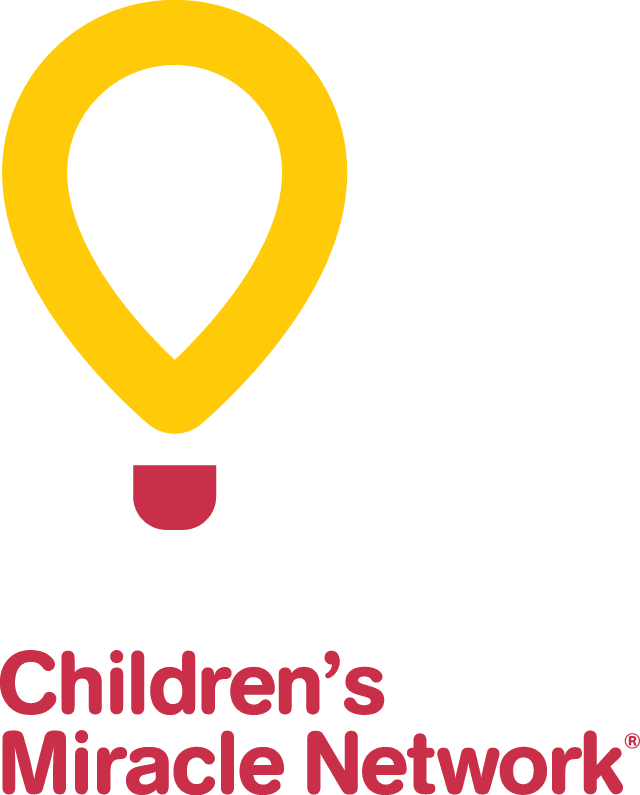 For more information on how you can create a Forever CHEO legacy of your own now or in the future, contact Megan Doyle Ray at (613) 738-3694 or [email protected].